Stefan Heun received his diploma in physics in 1989 from the University of Hannover (Germany), where he investigated, in the group of Prof. M. Henzler, the initial stages of epitaxial growth of silicon on Si(100). In 1993 he received his Ph.D. in the same group, working on the magnetoconductivity of monolayer-thin films of Ag, Pb, and Au deposited on Si(111). In 1993 he joined the Interdisciplinary Research Laboratories of the Japanese Telecom NTT in Tokyo (Japan), where he studied the surface passivation of III-V semiconductors using synchrotron radiation. In 1995 he moved as a TMR Marie Curie research fellow of the Commission of the European Community to the Materials Division of the TASC lab in Trieste (Italy), where he worked on the engineering of heterostructure interfaces. In 1997 he became a beam line scientist at the Sincrotrone Trieste, where he was appointed responsible of the Nanospectroscopy Beamline, at which he also performed his research on low-dimensional systems. Finally, in 2004 he joined the CNR as a senior scientist, first at TASC in Trieste and since October 2006 at NEST in Pisa (Italy). In these last years his work focuses on the use of scanning probe microscopy, in particular scanning gate microscopy (SGM) and scanning tunneling microscopy (STM), for the study of semiconductor and graphene nanostructures. 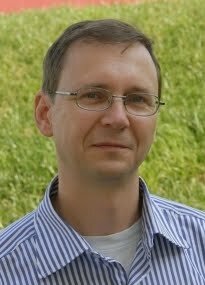 Stefan Heun has co-authored more than 150 papers and has given more than 110 invited presentations and seminars. To date (November 2018) his papers have been cited over 2700 times. h-index: 28. He is Contract Professor at Scuola Normale Superiore in Pisa (Italy) where he teaches on Nanostructured Materials.